The Law Offices of Davis R. Zellmer is the sole owner of the information collected on this site. We only have access to/collect information that you voluntarily give us via email or other direct contact from you. We will not sell or rent this information to anyone. 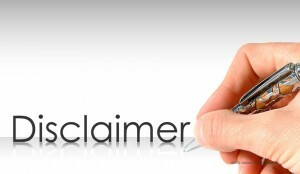 Legal Disclaimer – We are conveying this information to you in general terms. We are not providing you with legal advice or opinion. You must contact our office and sign a representation letter before we will act as your attorney. This is not an offer to represent you, nor is it intended to create an attorney-client relationship. Any email sent via the internet using email addresses listed in this web site would not be confidential and would not create an attorney-client relationship. Circular 230 Notice – To ensure compliance with Treasury Regulations, please be advised that tax related information given on this website is not intended or written to be used, and cannot be used, by any taxpayer for the purpose of (1) avoiding any penalties that may be imposed by any governmental taxing authority or agency or (2) promoting, marketing or recommending to another person any tax related matter. The material on this web site has been prepared and is copyrighted by The Law Offices of Davis R. Zellmer (“Davis R. Zellmer). The material is for informational purposes only and does not constitute legal advice. The material is not guaranteed to be correct, complete, or up to date. Information provided by or cited to third parties does not necessarily reflect the opinions of Davis R. Zellmer or any of its attorneys or clients. The Law Offices of Davis R. Zellmer will, to the full extent permitted under the law, protect your name and confidential information against disclosure, publication or unauthorized use. This information is not intended to substitute for obtaining legal advice from an attorney. No person should act or rely on any information in this site without seeking the advice of an attorney. Please be aware that the sending of an e-mail message to The Law Offices of Davis R. Zellmer does not contractually obligate them represent you as your attorney. The Law Offices of Davis R. Zellmer cannot serve as your counsel in any matter unless you and our firm expressly agree, in writing, that we will serve as your attorney. This web site may be considered advertising in some jurisdictions under the applicable law and ethical rules. The determination of the need for legal services and the choice of a lawyer are extremely important decisions and should not be based solely upon advertisements or self-proclaimed expertise. No representation is made that the quality of the legal services to be performed is greater than the quality of legal services performed by other lawyers. Davis Zellmer is a Southern California based attorney serving all of California specializing in Estate Planning, Estate Administration, and Probate.